great coloring, thanks for sharing the colors you used. I have this stamp and love it! I like this color combination too much! Perfect for Halloween. Cute stamps. What an adorable little trick or treater. Beautiful job on the background!! Love all the layering in your card... so cute. I LOVE the bright colors! You colored the little witch so well! Your card is so cute and scary! Love the black kitties. Love seeing both ends of the kitty. What a fun Halloween card! I love the color combination, the sweet little witch, and the bats and cats! AWWWWWW this is such a cute card! I really like your purple then orange water colored backgrounds! I also love your coloring of the images too! 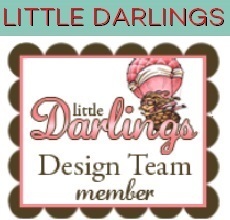 Thanks for sharing your adorable card! Love your coloring and the inked background! Wow, love the way you colored her; she's purr-fect!! 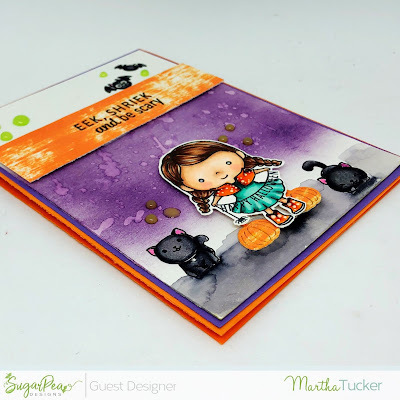 Fantastic coloring on your adorable Halloween card! Beautiful, adorable card. The colors are gorgeous. Fabulous coloring on this delightful card! Love those adorable kitties and the bats! I don't know which is cuter the gorgeous black cat or little miss witch ? Great card, brilliant Halloween 🎃 come fall colour combination. Awesome. Martha, this card is witch-tastic! So awesome and I really love all the colors in it. How did you get the color variation on the orange part of the card? Is that done with ink? Also I love the gooey green globs on the top of the card near the bats! Those are great! Did you color them in because the globs lower down look like brown ooze to me. A fantastic card! The recipient will be so happy and excited! Very sweet looking image and love the little scene you created. Soooo adorable!!! Love those little black kitties!